We love our dogs. My little 6 lbs. chihuahua mix brings me so much joy and unconditional love that I prefer her over several of my human family members (keep that one under wraps, though). But what I don’t love is that she has a very sensitive stomach. Her sensitivity means that I have to be vigilant about what she eats, or risk paying a price later when I find myself on 24-hour poop patrol. And it’s especially hard to control her intake when my undoubtedly irresistible pup meets a well-meaning dog lover who offers her treats before asking me first. While tummy troubles can be common in a lot of dogs, it’s important to find out what exactly is causing them, and how to best treat, or manage them. So, your first step when dealing with chronic stomach problems is to consult with your veterinarian. Once you’ve ruled out the scary stuff, a lot of your dog’s stomach problems will resolve by changing their diet. When considering commercial dog foods, make your choices carefully. Usually, the best foods for dogs with sensitive stomachs use a small number of ingredients that include high quality protein sources like duck, venison or bison, as many dogs are sensitive to common protein sources like chicken and beef. It’s also often smart to stick with the grain-free foods, which is what most foods for sensitive stomachs will be. So, which is the best one for your dog? I had to try several with my dog because not all dogs respond the same. You will likely need to go through a period of trial and error as well. But I’m here to help guide you in your choices. Here are the 3 most frequently veterinarian recommended dog foods for sensitive stomachs. The order of preference varies from vet to vet, but these all seem to consistently receive high ratings. 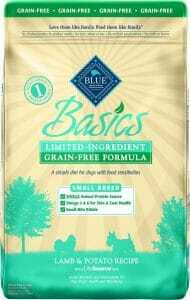 Blue Buffalo Blue Basics Adult dog food is carefully formulated to provide specially prepared foods minus the usual irritants. For this formula, Blue Buffalo uses turkey as its main ingredient. Additionally, all of the ingredients that go into the preparation of this product are sourced from the USA. It’s a limited-ingredient recipe, but offers all the ingredients required to provide complete nutrition. Get Blue Buffalo Blue Basic Adult dog food at Chewy.com. 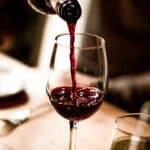 Be sure to use these Chewy.com coupons, offers and promo codes. Wellness Simple Natural Limited Ingredient is also, as the name suggests, limited to ingredients that don’t commonly cause allergies and stomach upset. 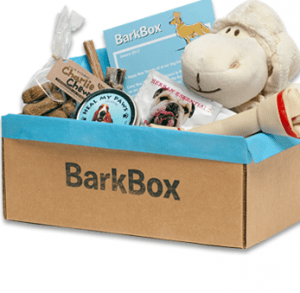 It’s offered in several variants and kibble sizes, so even your pickiest dog should find something they like. Each variety contains just a single protein (duck, salmon, lamb or turkey), no gluten or wheat, and only natural ingredients. 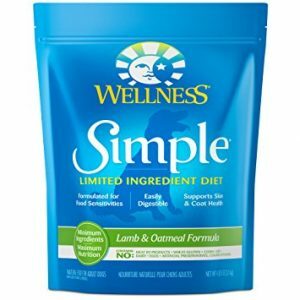 Buy Wellness Simple Natural Limited Ingredient dog food at Petco. Don’t forget to use these Petco coupons, promo codes and offers to save a bundle! Hill’s Science Diet Adult has ingredients that are easily digestible and nutritionally complete. It’s protein sources include chicken, lamb or salmon. 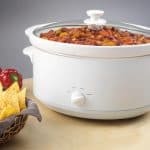 All of this food’s blends are a careful balance of brewer’s rice, peas and grains, apples, carrots and other vegetables. They also offer formulations for puppies and senior dogs. 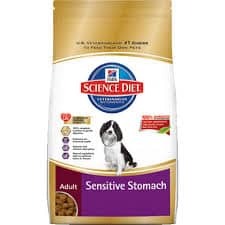 Buy Hill’s Science Diet Adult Sensitive Stomach dog food at Petsmart. Save by using these Petsmart coupons, offers and promo codes. With these suggestions, you should have a good place to start your own period of trial and error. Be sure to integrate the new foods gradually, giving your dog ample time to adjust. Just work closely with your vet, and eventually you’ll start seeing your furry best friend feeling (and functioning) at their best.